Daniel is wondering what it's like to be King. 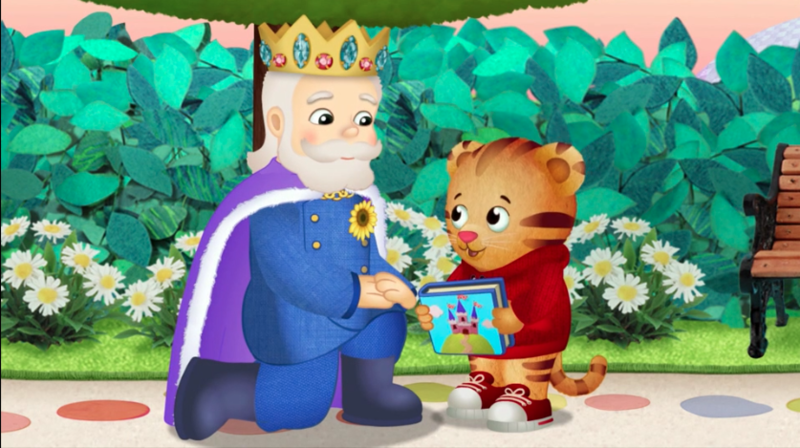 King Friday tells him he can be King for the day and shows him the royal list of tasks. But what's most important is for a king to be kind. They sing a song about some of the many ways we can choose to be kind to one another - sharing toys, helping when someone's not feeling well, giving hugs, and helping clean up. For more information and games, click here.